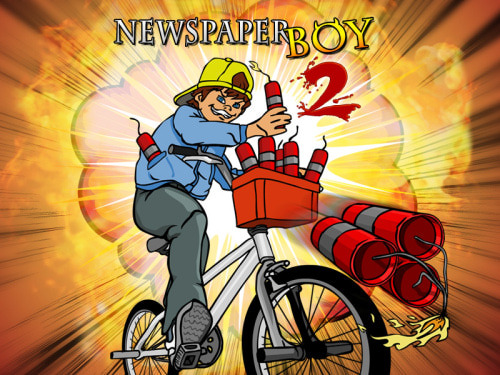 Description We now bring you the remake of the sequel classic game Newspaper Boy 2. The mischievous kid is back for some more carnage, throwing more dynamite and tnt through the neighborhood homes. Controls A / D keys to move. Mouse to aim and shoot. W / S keys to bunny hop.